A Superb Quality Pair of George III Cast Silver Candlesticks by Ebeneezer Coker hallmarked 1767, decorated with shell crested scrolls and having separate bobeches, 10 in (25.5 cm) in height. 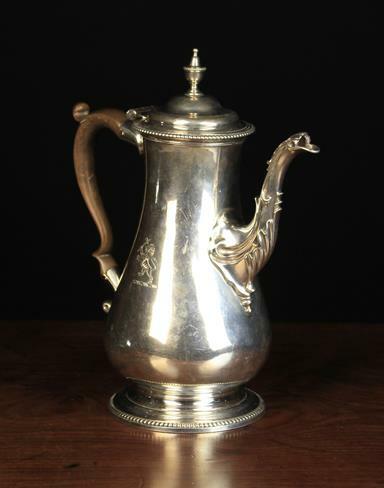 An 18th Century Silver Coffee Pot by William Grundy hallmarked London 1775. The baluster body engraved with a heraldic rampant lion wielding an axe to the front. The hinged lid surmounted by an urn finial with beaded edge and foot rim, 10 in (25.5 cm) in height. 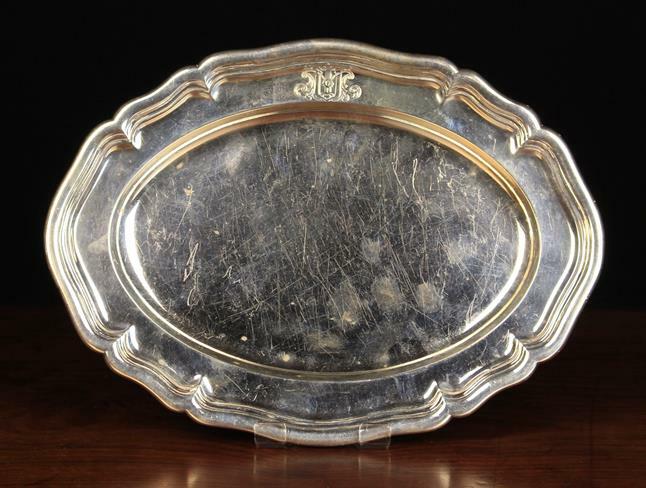 A Mortimer & Hunt Victorian Silver Platter hallmarked London 1841, of oval form with a reeded serpentine edge and engraved crest to the border, 12 in x 8¾ in (30.5 cm x 22.5 cm). A Fine Silver Coffee Pot with Chester hallmarks for 1918 and George Nathan & Ridley Hayes maker's mark. The dimpled baluster body with lobed base and pedestal foot edged with a serpentine rim, 10 in (25.5 cm) in height. 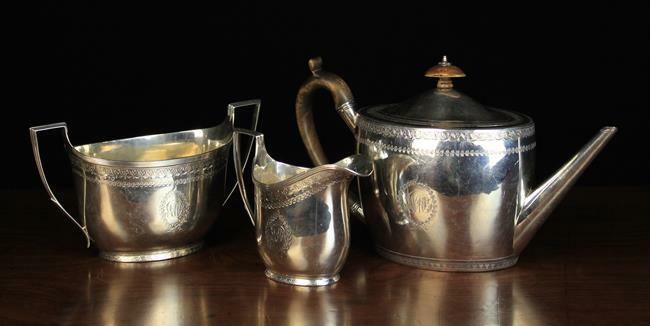 A Three Part Georgian Silver Teaset of Neo-classical design, hallmarked London 1799 with William Allen III maker's mark to the teapot. The oval box form teapot having a wooden crested handle and oval knop finial, machine engraved with delicate bands of leaves and flowers with inscribed monogram encircled by a laurel garland to each piece. 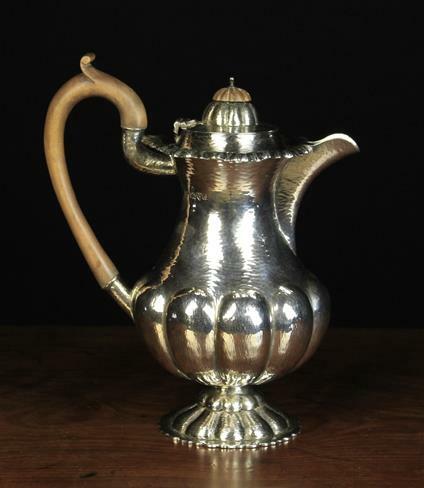 A Georgian Silver Castor, with wrythen fluted finial, 4½ in (11.5 cm) in height. 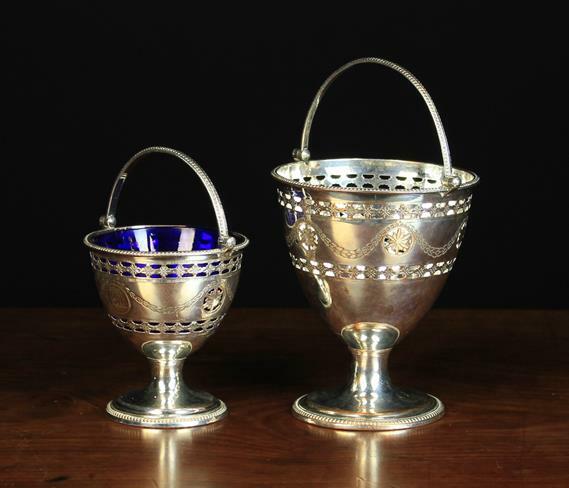 Two Graduated Sheffield Plated Sugar Bowls of Neo-Classical design with decoratively pierced borders and engraved festooned laurel garlands, both with beaded rims and swing handles; one having a blue glass liner. A Continental Silver Wine Pourer. The bottle coaster base stamped H900 GÜL and mounted with entwined branches of fruiting vine to one side below the figure of a naked nymph entangled in the tendrils and holding aloft a hinged bottle collar. The figure forming the handle. 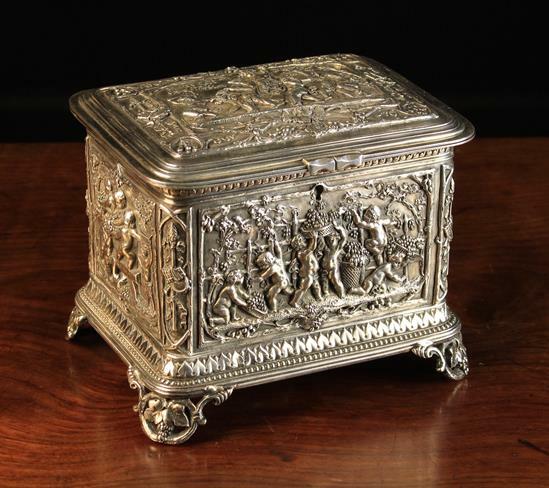 A Fine Quality 19th Century French Silver Plated Jewellery Casket of rectangular form. The hinged lid and sides lavishly decorated in intricate detail with relief cast bacchanalian scenes; cherubs harvesting grapes and making wine around the sides, with revellers to the lid. The pierced bracket feet cast with bunches of grapes, 5½ in (14 cm) in height, 6½ in (16.5 cm) wide, 5¼ in (13.5 cm) deep. A Superb Quality Victorian Burr Walnut Vanity Box with Silver Fittings hallmarked London 1857 and stamped with Thomas Johnson I's maker's punch. The rectangular box having brass trimmed edging, an elaborate scrolling plaque to the hinged lid inscribed ''ES Bibby'' and inset brass swing handles either side embellished with engraving. 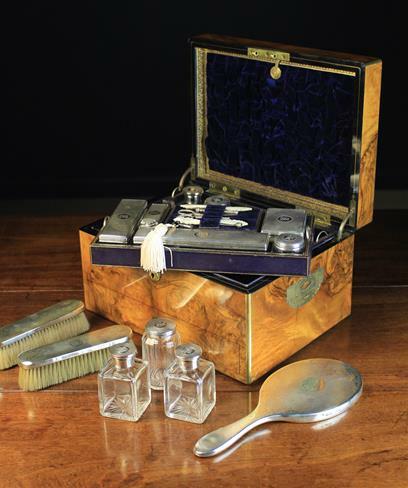 The interior housing a variety of fine cut glass silver-topped bottles and jars; fitted in partitioned trays lifting out to reveal a silver backed brush & mirror set below. 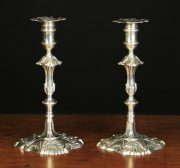 The silver ware all intricately machine engraved and monogramed ESB. The interior lined in deep ultramarine blue velvet with tooled gilt leather borders; the lock engraved PATENT S. MORDAN & Co LONDON. The locking base drawer fitted with padded jewellery compartments. 7½ in (19 cm) high, 13 in (33 cm) wide, 9¾ in (25 cm) deep.